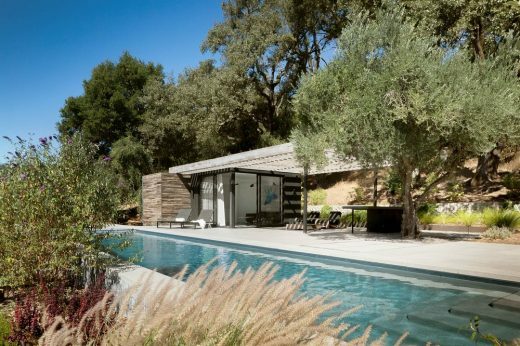 The desired program added a pool, poolhouse, outdoor living area, gardens, bocce court and guest arrival with overflow parking. 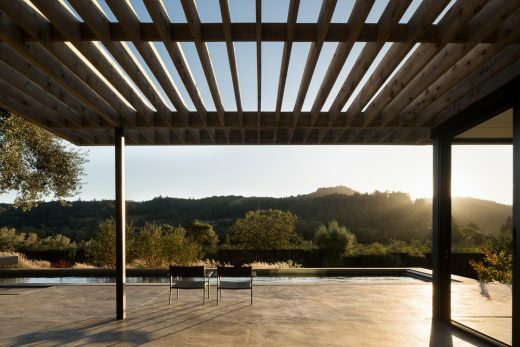 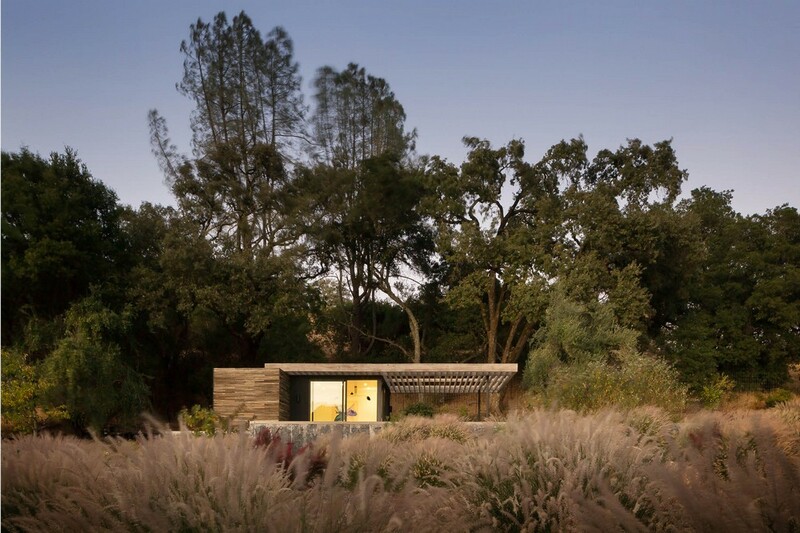 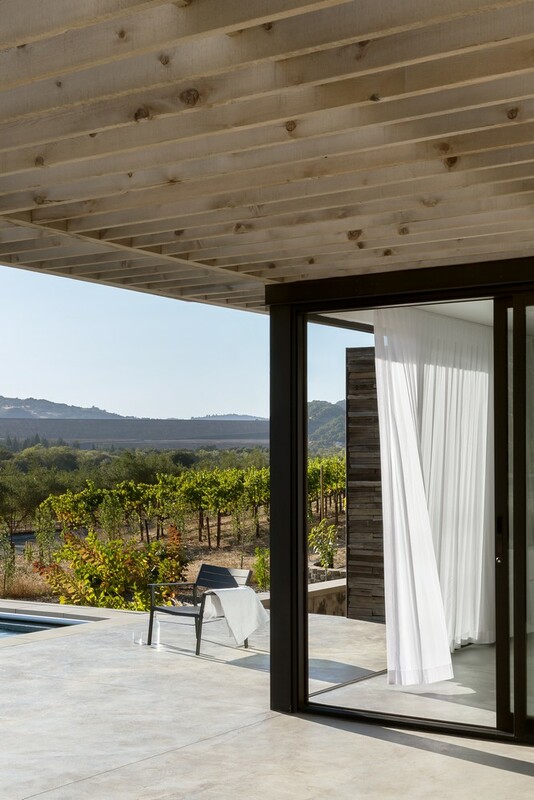 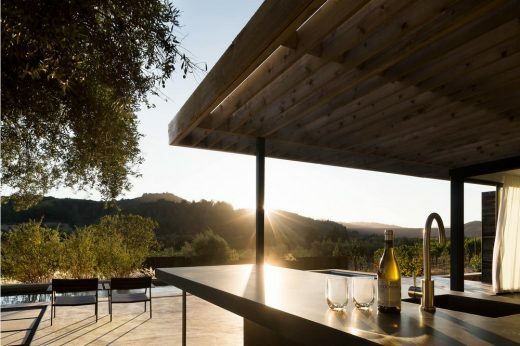 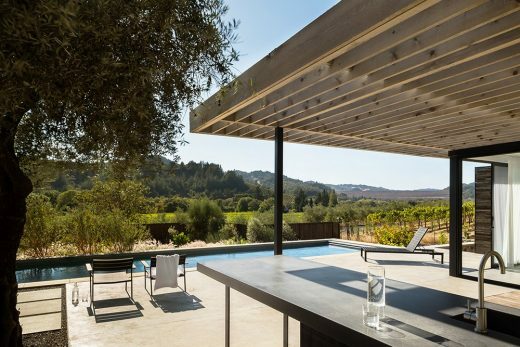 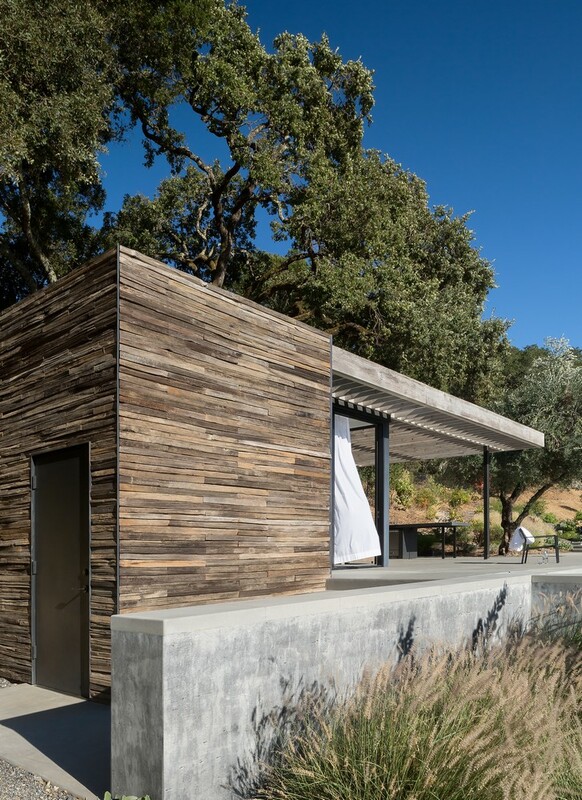 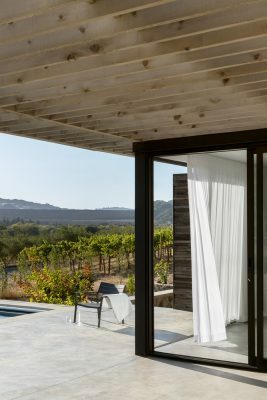 The property was long and narrow, hugging a busy roadway but situated to look beyond the constraints to spectacular vistas of rolling vineyards and classic coastal California ridgelines beyond. 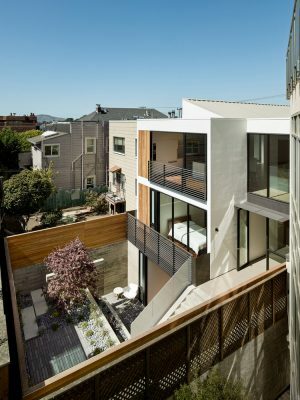 The budget was tight and the aspirations were large. 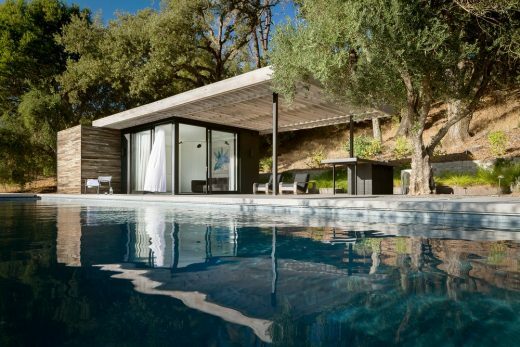 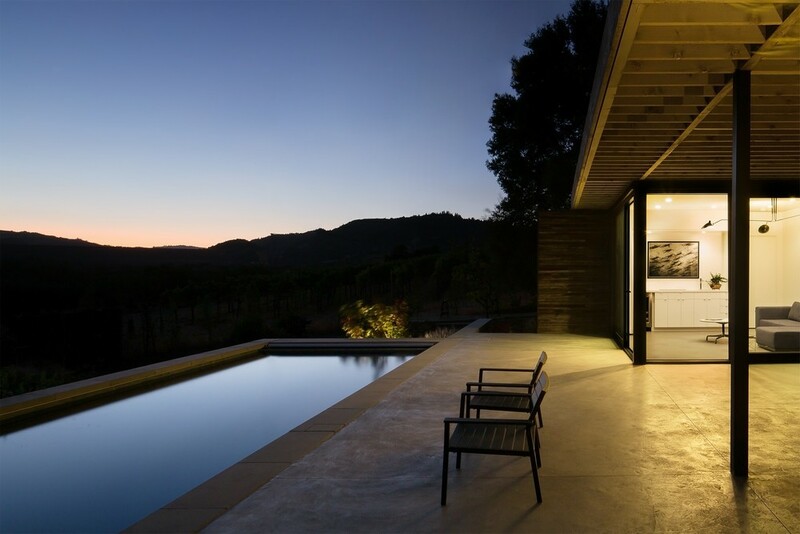 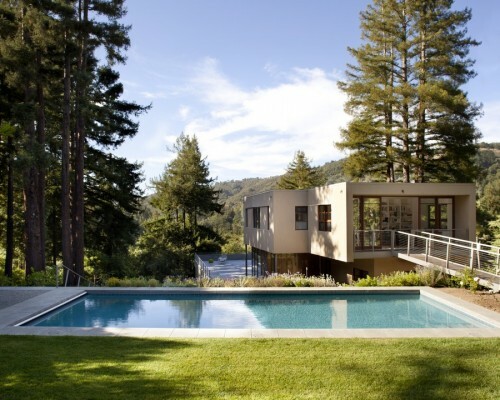 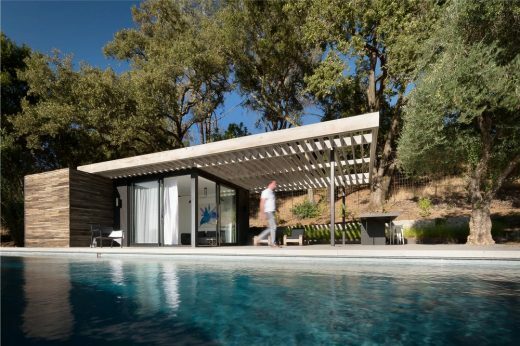 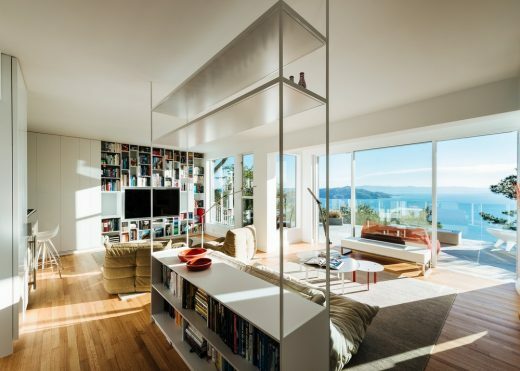 The design raises the pool high on the property and cuts the pool house into the hillside – allowing the horizon of the pool edge to edit the view to the road below. 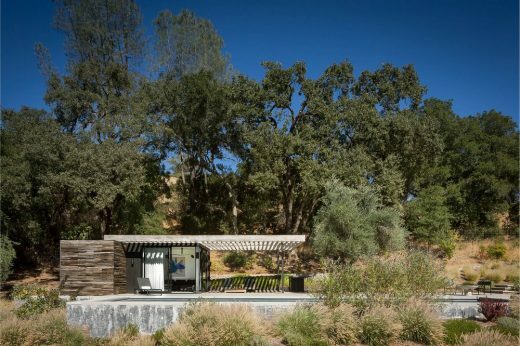 Nestled into the hill with it’s back to the trees, the new, earthen ground plane acts as a primitive plinth that supports a rustic enclosure. 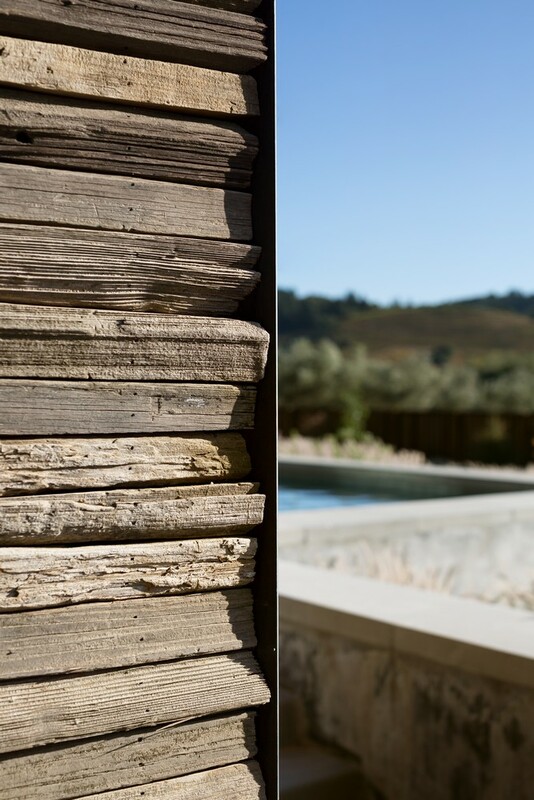 The prime program of the pool house is wrapped in grape stakes gathered from the property and resawn to operate as a shroud to the private innards of the building.